According to Autocar, "Spy shots have revealed the new plug-in-hybrid variant of the recently launched Mercedes C-Class being tested on public roads." This all but confirms that the plug-in hybrid C-Class will launch soon. It's believed that the C-Class PHEV will go on sale starting in Europe in 2015. We expect Mercedes-Benz to offer the C-Class PHEV in the US too, though the US launch will likely trail the European launch by several months. 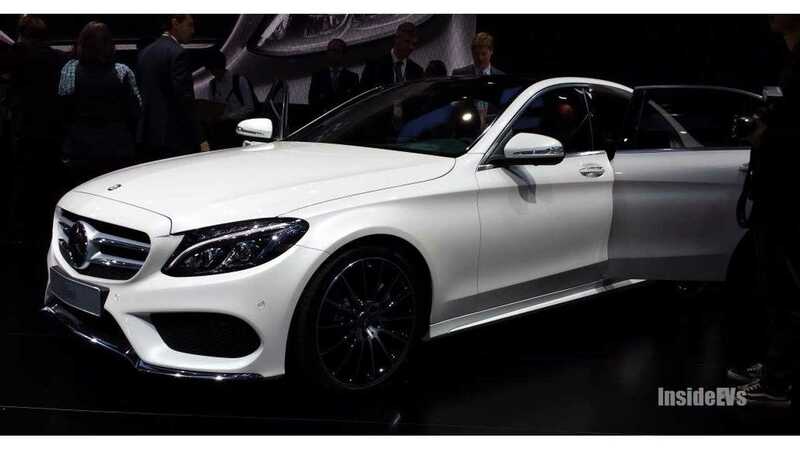 "It's believed that the new model, which will be badged the C350, will utilise a turbocharged 3.0-litre V6 engine in conjunction with a seven-speed automatic gearbox featuring an integrated electric motor. 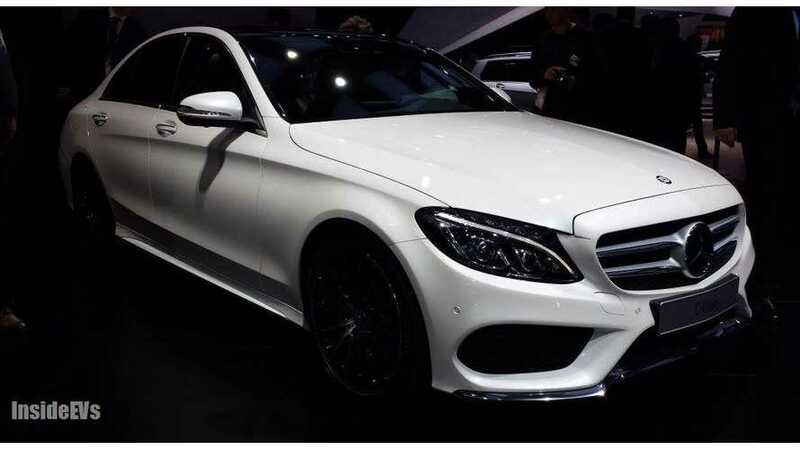 Such a powertrain has been displayed previously in the new Mercedes-Benz S-Class." "Distinguishing the car as a plug-in hybrid is a flap, mounted in the rear bumper, that allows owners access to the car's charging connector." "Other changes include the addition of an 'active' grille shutter, which can close to reduce drag and cut warm-up times. The Mercedes' interior remains seemingly unchanged..."
We like the idea of subdued electrification in which the plug-in vehicle itself mostly resembles a conventional automobile. This seems to be the approach that Mercedes-Benz will take with most of its upcoming plug-ins.